Am I the only person who procrastinates by online shopping? I’ve got a mountain of assignments to do so when I complete a small section of work, I treat myself to some beauty buys. 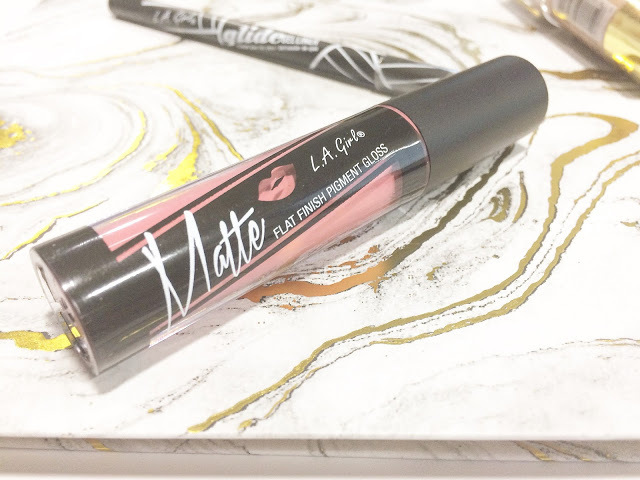 After browsing on Beauty Bay a couple of weeks ago, I came across the brand, LA Girl. I want to start by saying I’d never heard of this brand until discovering them on the site. Before purchasing anything, I made sure to do a little bit of research and it seemed like the few blogs that I came across quite liked the brand. I took it upon myself to try a few buys. I went for items that I use more frequently than others, pretty much daily usage. I’ve been trying to use them as much as I can over the past couple of weeks so this is not a haul post! 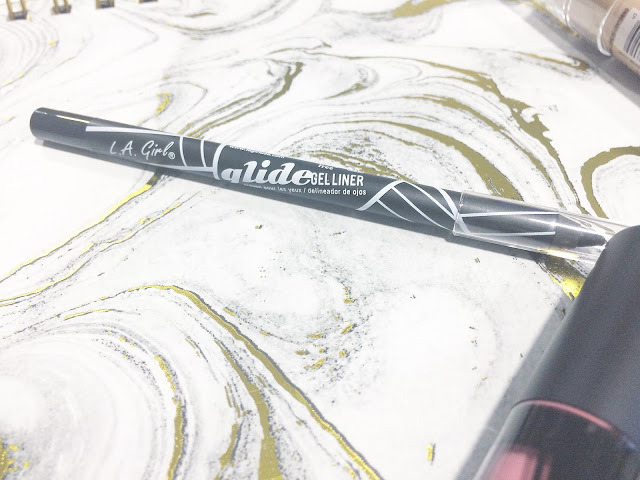 In this shop, I also bought the Illuminate by Ashley Tisdale Beach Goddess Palette which I reviewed a couple of weeks ago. 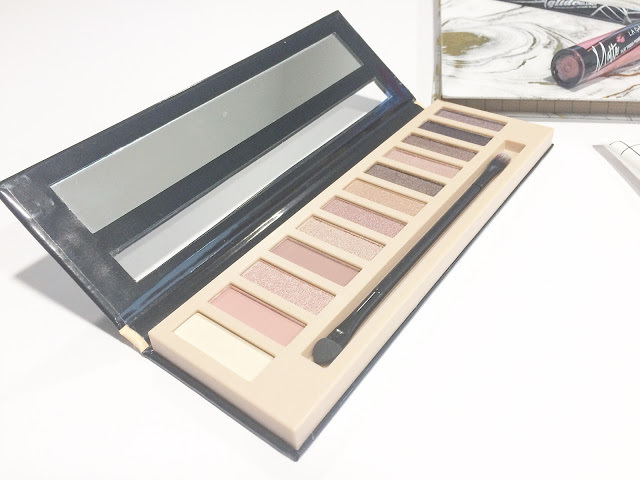 The first item I picked up was the Nudes Beauty Brick Eyeshadow Palette. 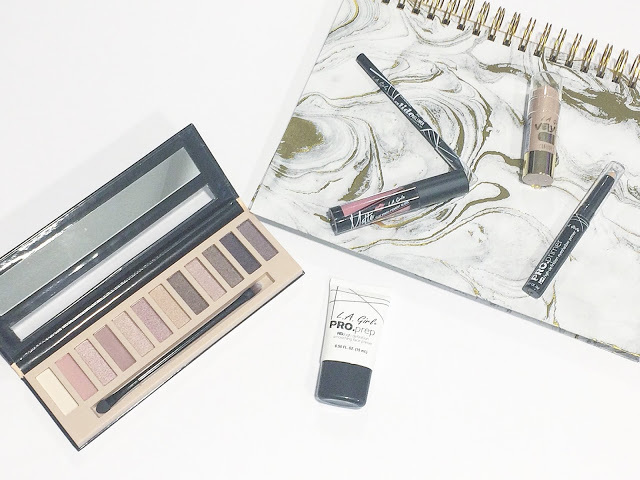 I thought it would be the perfect palette for me as it includes the colours I wear the most: nudes and browns with a sprinkle of pink. So far, I’ve been pleasantly surprised by the pigmentation; it’s not as vivid as some palettes that I own but for daily use, it’s not bad! Because of my eczema, I’m unable to take swatches still but the shimmer shades are definitely my favourite. They’re sparkly without being too sparkly and in your face! The PRO.prep HD Smoothing Face Primer is my new saviour. I’d been switching in between two others as of late but I’ve now added this one into my routine. It’s clear, which is the texture that I prefer. It sits on the skin nicely and doesn’t sink in and dry out my skin. 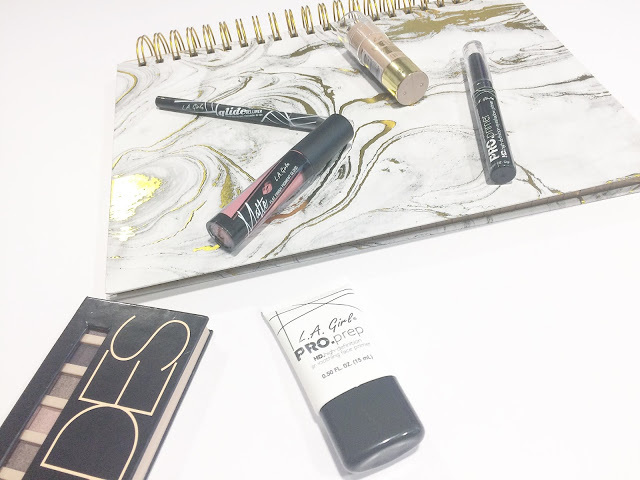 It’s lightweight but not too light that it doesn’t provide a good base! Now to the most disappointing product I purchased. The Matte Flat Finish Pigment Gloss in Fantasy is awful! 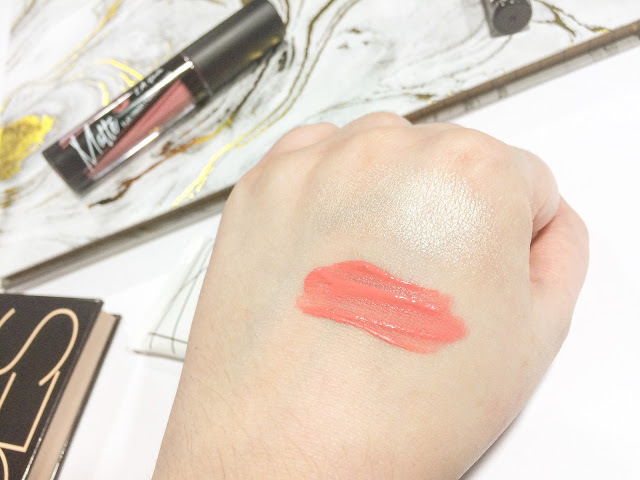 I hated the texture of it, the applicator was too big for me and the colour was a little too pink for me. I applied it once and removed it straight away! I doubt I’d try it in another colour either because I just didn’t like how it felt on my lips! 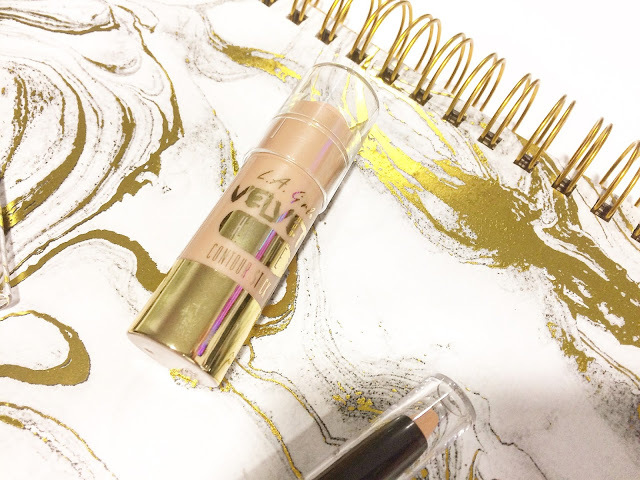 Next up is the Velvet Hi-Lite Contour Stick in Luminous (out of stock currently) is a very subtle highlighter. I’ve been looking for a subtle highlighter that I can wear for work and not blind customers! It’s pretty creamy and stays put for a few hours which is as much as I need for a work shift! Decent eye primer is an impossible product find for me; I’ve had my Nyx one for a while now and have found nothing to challenge it. And this one doesn’t hit the mark. 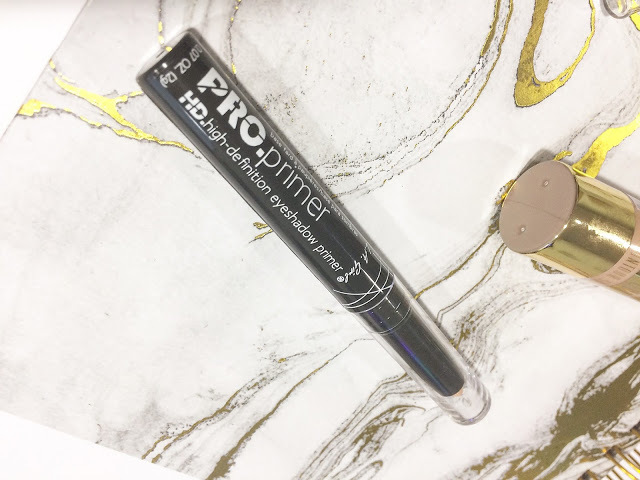 The PRO.primer HD.high-definition Eyeshadow Primer has the strangest texture ever; I found it to be too creamier and it seemed to sit in the crease of my eyelid! Nil points from me! The final product in my haul as the Glide Gel Liner in Very Black. 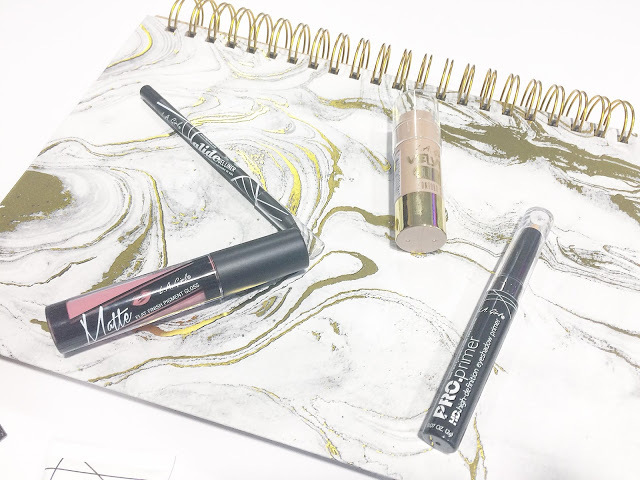 I’m always on the lookout to find new eyeliners and after finding how amazing waterproof liners are, I’ve set up a little collection. This one is near to the top of my list! It literally does glide on; it sits really well on the eyeline and stays put for a while! 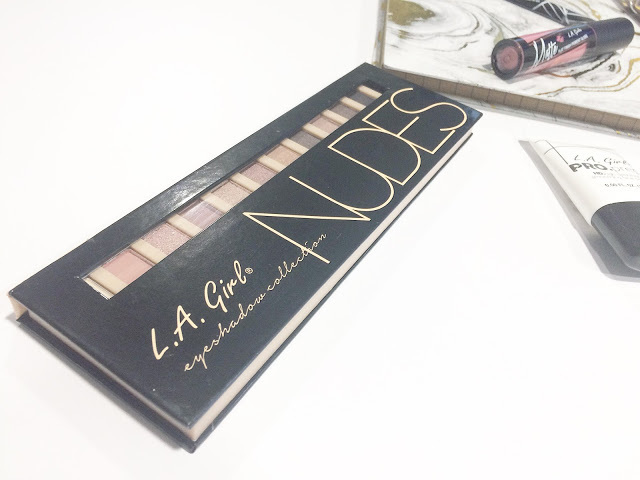 LA Girl is one of those brands that is really affordable but pretty decent quality! 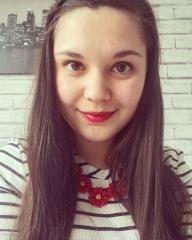 Similar to that of Make Up Revolution, it’s obviously not going to be the best pigmentation but for everyday make-up, it’s not too bad! Have you ever tried LA Girl? Leave me a comment below with any products you’ve tried!